Members of the Apostleship of the Cross follow a process of comprehensive formation. Imbued with the Spirituality of the Cross, the process is progressive and structured, continuous and permanent, so that the Spirit of the Cross becomes the inspiration in our life. Our formation will clearly have an ecclesial and social orientation. 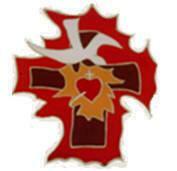 The objective of formation is to guide us personally and communally toward the transformation in Jesus Christ Priest and Victim, Contemplative and Solidary, in order to give glory to God, console the Heart of Jesus, and extend the reign of the Holy Spirit, which includes the building of a Priestly People, fostering serious and mature lives of holiness, and strengthening the Christian commitment to solidarity in the style of the Good Samaritan in the Gospel (Lk. 10:25-37). Formation unfolds according to the principles and criteria of the Church and of [… the] Statutes, and in accordance with the guidelines of the Regional Councils acting within their jurisdictions. Following the initial formation, the Apostles of the Cross continue with on-going formation, which prepares them to respond to the needs of the Church and the world. Formation in the Apostleship of the Cross is comprehensive. It embraces the different dimensions of formation: personal (as an individual, in family and community life, socially), spiritual, apostolic, and intellectual. The Apostles of the Cross strive to grow in zeal for the mission and ability to collaborate with others, to develop an interest for what happens around us, accepting the responsibilities of being mature citizens who promote a more solidary world. a commitment to social and ecclesial service to all (compassion, solidarity, apostolic action, and expansion of the Apostleship). Each Region will provide the necessary means to support the formation of the Apostles of the Cross. Each Apostle of the Cross is the first to be responsible for his or her own formation. The Regional Councils are responsible for the promotion and oversight of formation, ensuring that it is carried out in accordance to the provisions of these Statutes, through the mid-level representatives of the Region, paying special attention to the election and training of Formation Leaders. Formation Leaders fulfill their ministry in the name of the Apostleship of the Cross. In this way they effectively contribute to the development and life of the Apostleship, ensuring the comprehensive formation of all members, and serving both the community and each individual.